Getting paid in advance with Credibles - Credibles: crowdfunding and gift cards for local food businesses. Enjoy a prepaid Credibles tab. Growing food takes time. Growing a restaurant, coffee shop, or grocery store takes money, often long before the customers pay you for the delicious products. Working Capital to fund your operations and growth. 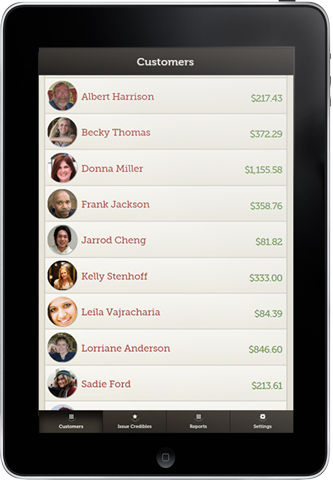 With Credibles, you don’t pay your customers back in cash, but with your products. Prepaying customers tend to purchase more often and increase your sales! Want to get paid in advance by your customers? Join Credibles. At your business: The customer gives you the money, and you enter the amount and customer info into the Credibles Business app. That’s how you create and track the “tab” of your supporters. Your customers receive a receipt message. Online: Via the Credibles app or website, customer pay you with credit card or PayPal. You get your money right away. No wait. You and the customer receive an email receipt for the credits added to their account. You’ll have your own page for your funding campaign with a description of the business and the rewards you offer at different payment levels. Fees: The apps for your businesses and the customers are free. There are no fees when people redeem the Credibles they paid for. When your customers prepay you directly at the business: no fees. Edible credits: Will they eat into my margins? 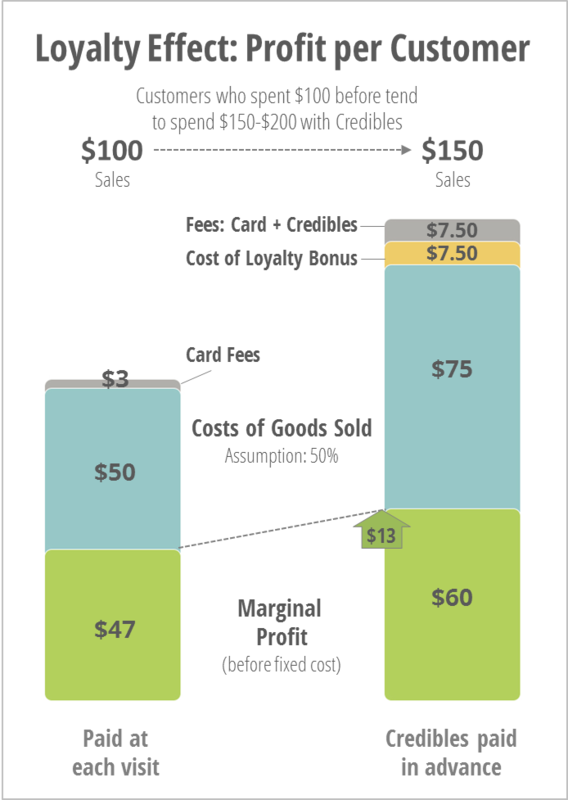 The loyalty effect outweighs the 2% extra fee (beyond the typical 3% for card transactions) and the cost for customer incentives. Revenues for pre-paying Credibles customers typically increase 150%-200%. The side by side comparison shows a potential increase of marginal profit (before fixed costs) increases by 13%. Customers redeem their Credibles when they come by for a purchase. Using the Credibles Business app on your smartphone or tablet, the cashier or waiter can see their available balance, and deduct the amount for the purchase. See the images on this page. Very easy and typically faster than a credit card processing. There are no transaction fees when customers redeem their Credibles! List of prepaying customers and their current balances. Deducting the purchase amount from the customer’s balance. Set the funding levels for the campaign. Change them when needed. Offer incentives for (larger) pre-payments: bonus credits, or other forms of goodies or recognition. The incentives can be limited in quantity (e.g., “first 20″) and/or time (e.g., “until Sunday”). 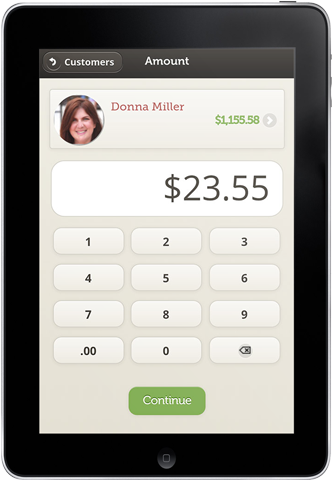 View customers, their balances and transactions. Transact Credibles when customers redeem them. Accept tips, if appropriate for your business. View summaries by day or customer. Reports for accounting. You can also manage store credits and rewards owed from other crowdfunding campaigns.